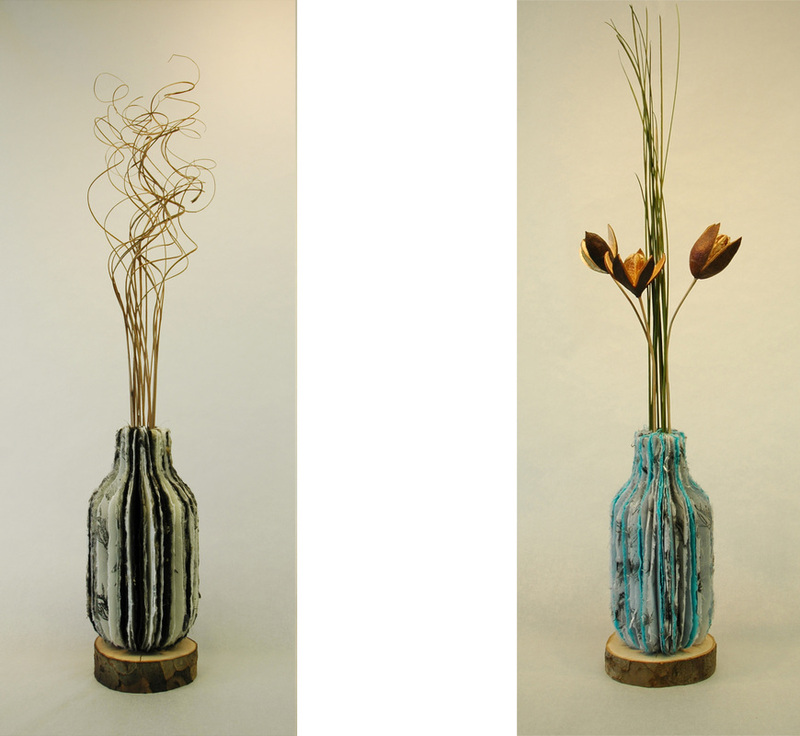 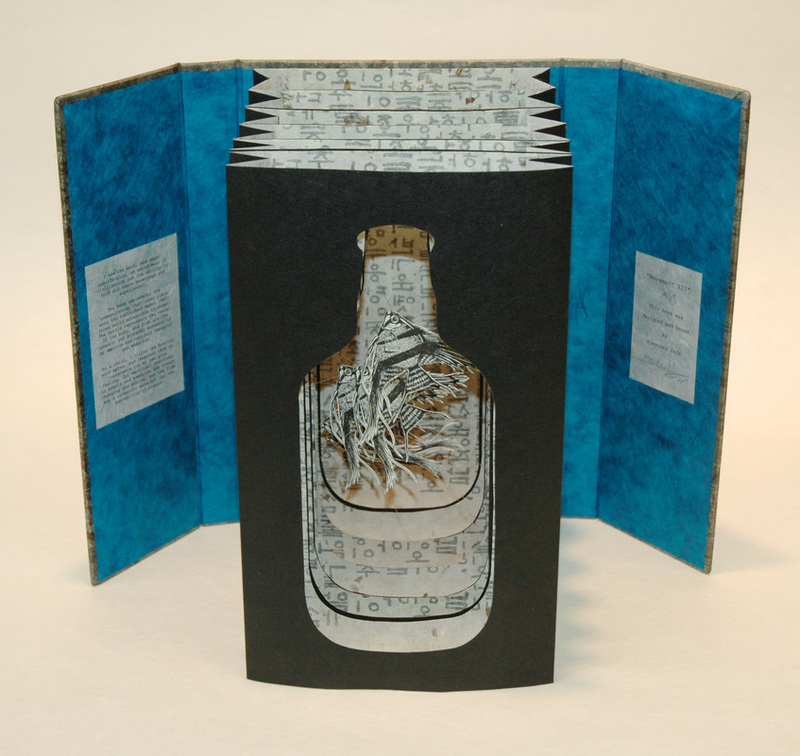 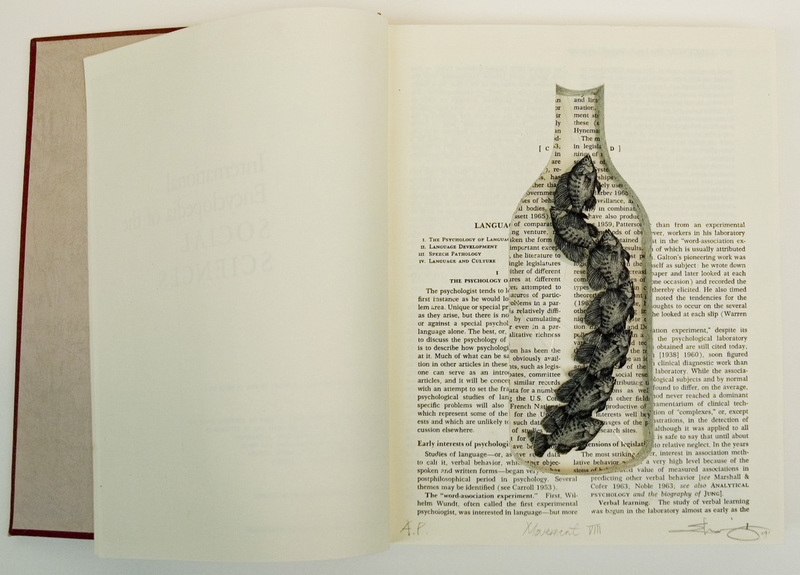 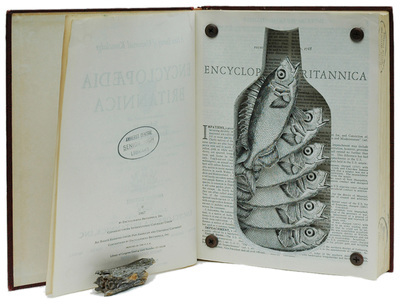 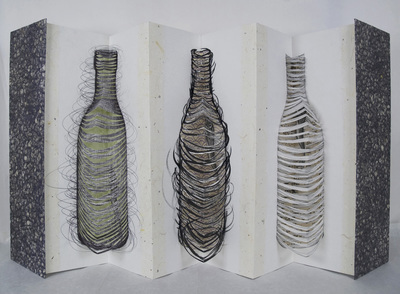 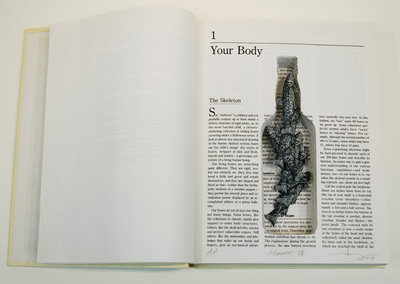 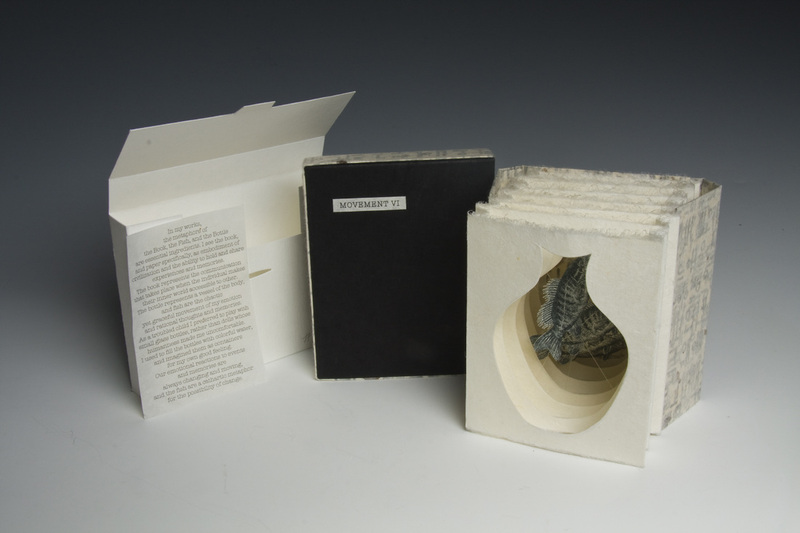 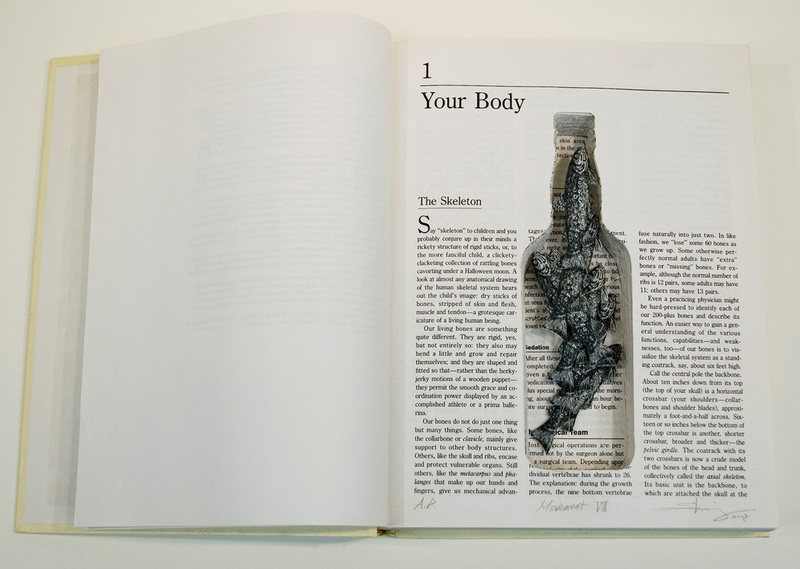 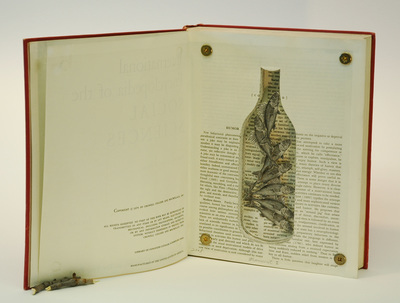 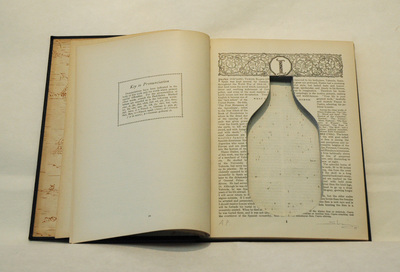 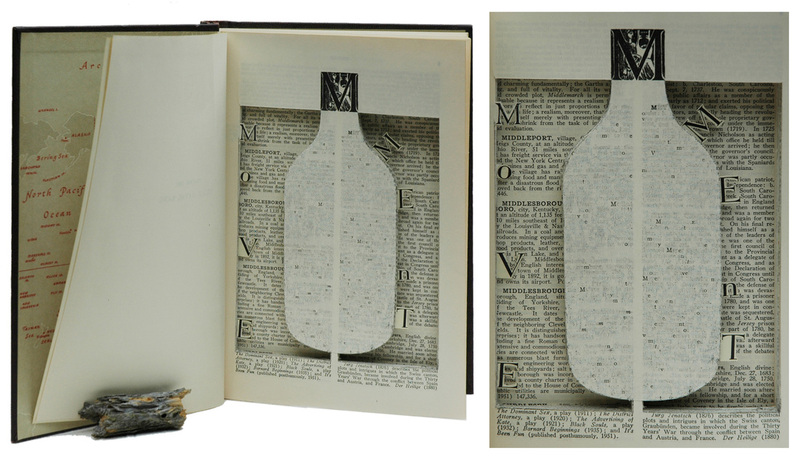 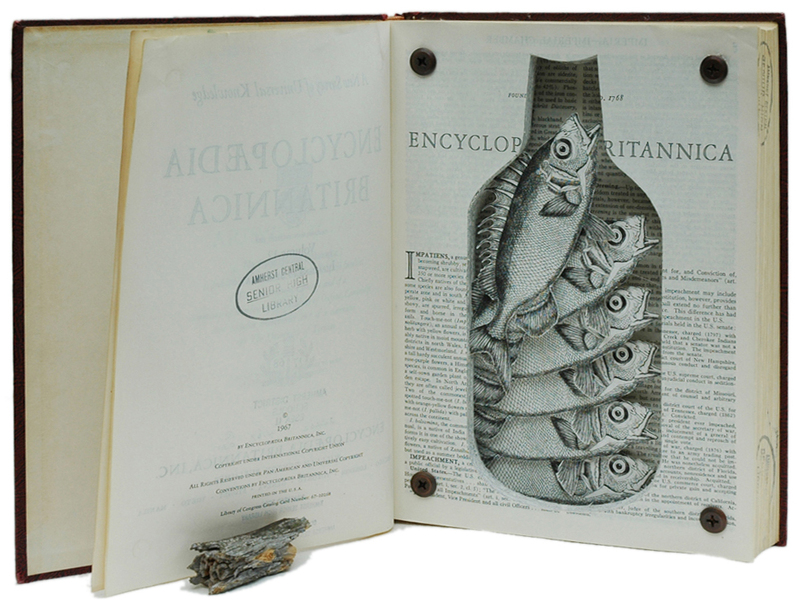 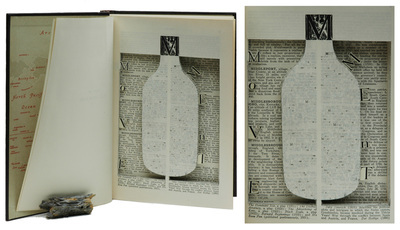 In my book arts, the metaphors of the Book, the Fish, and the Bottle are essential ingredients. 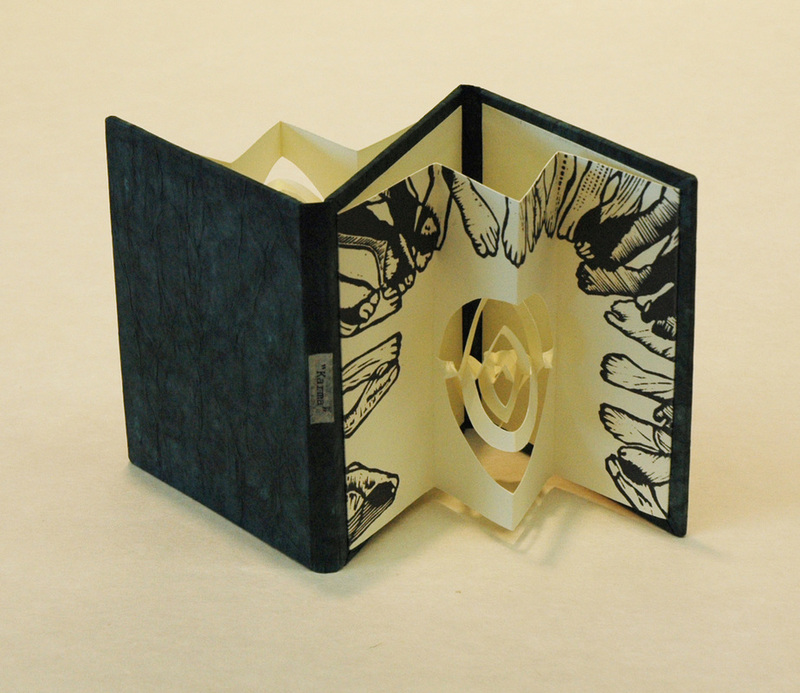 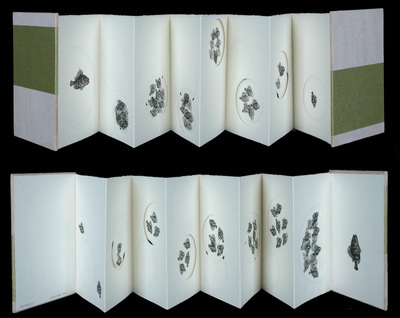 The book represents the communication takes place where the individual makes their inner world accessible to others. 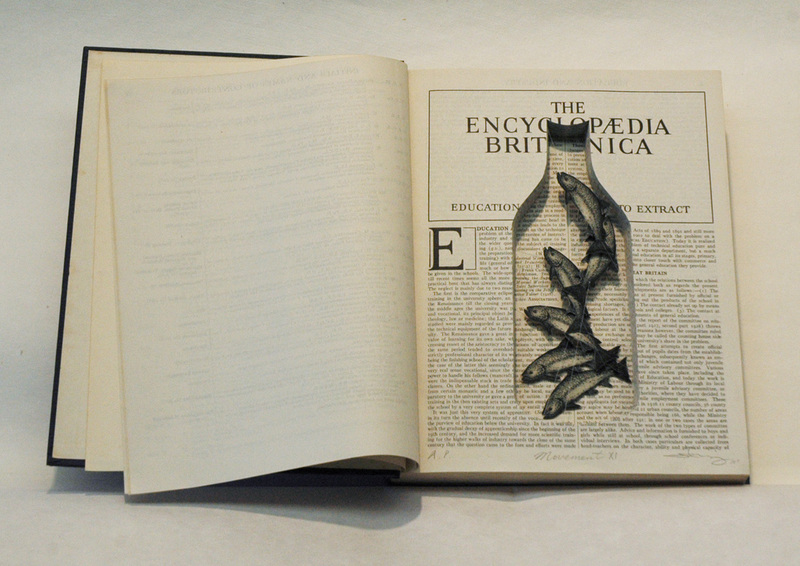 The bottle represents a vessel of the body, and fish are the chaotic yet graceful movement of my emotions, rational thoughts and memories. 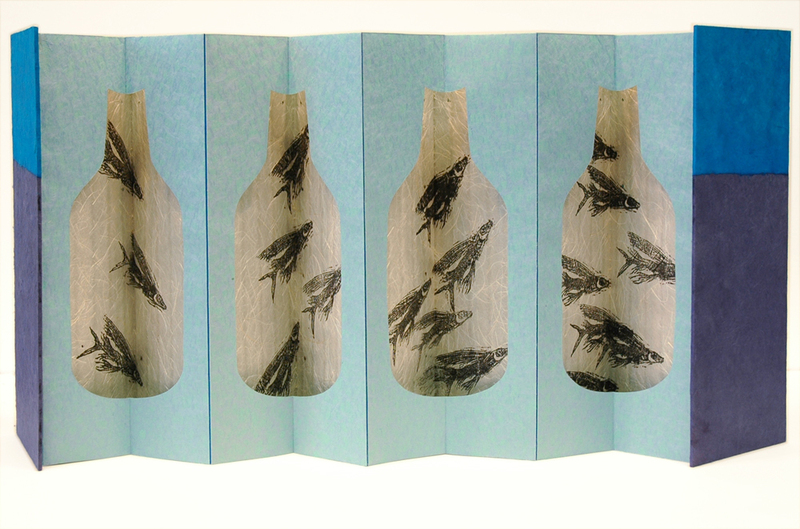 I was trying to mimic our emotional reactions to events and memories, which are always changing and moving like fish, and the fish are both an agonizing and a cathartic allegory for the possibility of change from the past to the present. As a child, I used to fill the bottles as my inner body with colorful water, and imagined them as containers for my own good feeling.